A man drove his car over the railing at Ölfusá in the bad weather on Monday night. 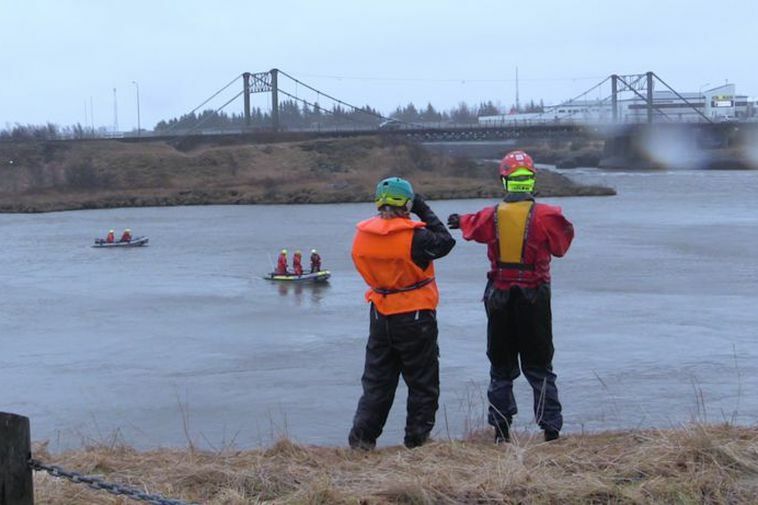 An extensive search has been on in the river since. Teenagers spotted the vehicle plunging into the river. Police know the name of the man who was born in 1968 and it is believed that he drove willingly into the river. His family have extended their gratitude to SAR team members and police involved in the search which has been unsuccessful so far. The Ölfusá river begins at the junction between the Hvítá and Sog rivers, just north of the town of Selfoss in South Iceland and flows for 25 km into the Atlantic ocean. It is Iceland's largest river by volume with an average discharge of 423 m³/s. Its drainage basin is 5760 km.